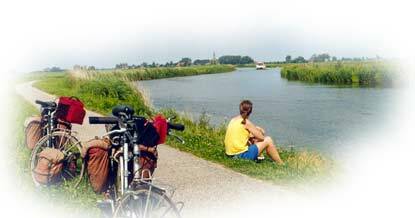 What is "Cycling in The Netherlands"
"Cycling in The Netherlands" contains information for cyclists who want to visit the Netherlands (a.k.a. Holland). We want to inspire and inform them about the great possibilities this country has to offer for cyclists. There is so much more than wooden shoes, windmills and tulips. For a first impression have a look at the Photo Gallery. On this site you find lots of links to mainly Dutch sites. The information on those sites is not always in English. For these websites we advise using the translations by Google translation services. It might not be able to translate all the content. Sometimes what looks like text is in reality an image. The results are not yet perfect and sometimes even hilarious. But the quality is improving every day. It will help you to get the essential information. As an alternative contact the owners of those sites by e-mail for information. One of the curious facts of the Netherlands: nearly 85 percent of the population own at least one bicycle. They use it regularly, often daily. There are about 16 million bicycles in Holland, slightly more than one for every inhabitant. About 1.3 million new bicycles are sold every year. Cycling yes, but not in Holland? Interested in other destinations for a cycling adventure? Have a look at our Cycling Around The World website. 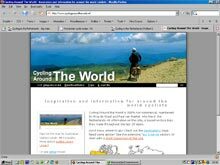 Detailed tour reports and background information on cycling trips in Asia, Africa, Australia and the Americas.